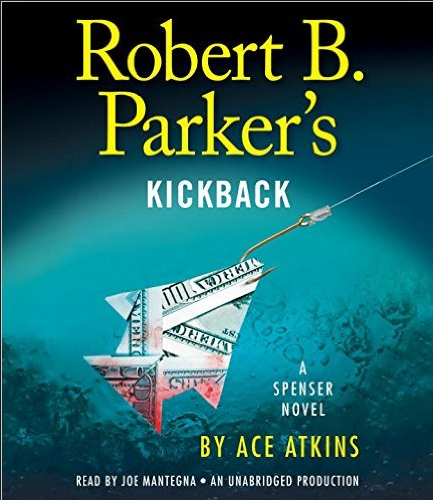 ROBERT B. PARKER’S KICKBACK by Ace Atkins, narrated by Joe Mantegna, is the 43rd novel in Robert B. Parker’s Spenser series. People of a certain age may remember the old detective TV show Spenser for Hire starring Robert Ulrich. Having watched the show as a child I never knew that the show was based on Parkers wildly popular detective novels. 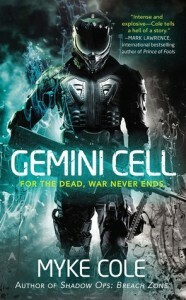 Parker died in 2010 yet his novels live on and the torch is carried, quite successfully in my opinion, by Ace Atkins. I first came to know of Robert B Parker and Spenser by recommendation of The Dresden Files author Jim Butcher during a book signing where he was asked about his favorite books. I love The Dresden Files so I figured I’d give it a go and I’m glad I did. I am always excited to hop in the back seat with Spenser and see how things go down this next time around. ROBERT B. PARKER’S KICKBACK was a bit darker than any of the previous installments. Atkins had me wondering how much he will be willing to deviate in the future from the more lightly toned works Parker started us on. ROBERT B. PARKER’S KICKBACK takes Spenser through a quagmire surrounding a cash for kids scheme and the dirty judges running the show. We also get a few POV interludes from the perspective of “The Boy” who has been arrested at the start of the novel, gets processed, and sent to juvenile detention. This is where the grim part of the tale lies. In the past Parker steered clear of depicting sexual assaults “on screen” and in ROBERT B. PARKER’S KICKBACK things get pretty real. If you have issues with triggers you may want to skip over these interludes and stick to Spenser’s POV. Spenser continues to be one of my favorite characters. Always upstanding and stalwart, yet he makes the hard decisions when needed. He has been nearly ageless although Atkins shakes this up a bit in ROBERT B. PARKER’S KICKBACK and Spenser has recently had knee surgery thanks to an off camera injury from a brawl that could have gone better. Susan, Spenser’s long time girlfriend was rather muted this time around. 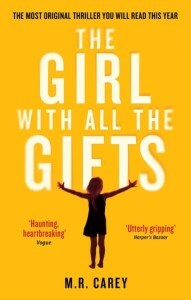 In previous novels Spenser relies on her advice often and this time around she is seldom on screen. Hawk, Spenser’s best friend, continues to be the classy badass. I appreciated that Vinnie Morris, another long acquaintance of Spenser’s, still held a grudge from the last novel as well. Ace Atkins does a fine job walking in Robert B. Parkers shoes. This may be appalling to other Parker constant readers, and to Atkins credit, overall I doubt I would have noticed the change in author after Parkers passing aside perhaps of noting the novel length increasing. The darker turn of events in ROBERT B. PARKER’S KICKBACK perhaps would have tipped me off. I am curious to see what lies ahead for Spenser. Joe Mantegna’s narration remains on point. I started Spenser with Michael Prichard narrating the early books. When Mantegna came aboard at first it was an unwelcome change but he is the man these days and does solid voices for everyone. I didn’t know this before since I only watched Spenser for Hire when I was a kid but Mantegna has played Spenser on the small screen multiple times. I need to check those out. In summary, It’s Spenser. If you love a good detective story where a smartass tough guy bumps into everyone and everything until he gets to the root of a problem then you are set. I’ll pickup Spenser #44 when it hits the shelves whenever that may be. ANDREW DORAN AT THE MOUNTAINS OF MADNESS: THE ADVENTURES OF ANDREW DORAN, VOLUME 3 by Matthew Davenport, Narrated by Shaun Toole is the third installment in Davenport ‘s Doran series. Shaun Toole returns to narrate as we follow Doran and company once again taking on those rascally Nazis and cultists. Please note the review must contain some spoilers for THE STATEMENT OF ANDREW DORAN so please go and read that first before proceeding. I enjoyed THE STATEMENT OF ANDREW DORAN. Therefore, when Davenport contacted me asking if I would like to review volume three I was quick to say yes. 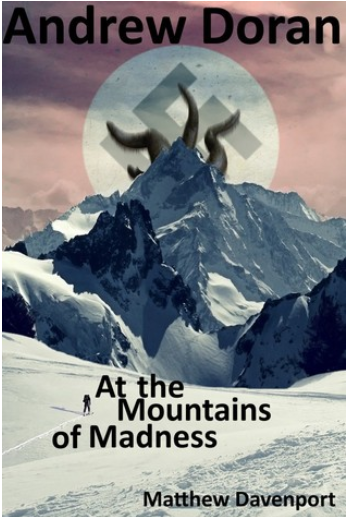 Similar to Davenports last book ANDREW DORAN AT THE MOUNTAINS OF MADNESS is a romp across the globe, chasing after dangerous knowledge in order to keep it from the Nazi’s and save the world. If you’ve listened to STATEMENT you know that repeated use of magic will inevitably cause insanity for anyone who dips their toes in the black art. Doran has passed this point and his insanity as coalesced in the form of Olivia who resides within his mind as a sort of multiple personality or psychosis. I was completely blindsided by the direction Davenport went with Olivia. I’m unsure at this point if that story arc is complete but if so then hats off to the author for completely destroying my expectation in what was to happen. Surprise is good! There is some shifting of roles among Doran’s friends in MOUNTAINS OF MADNESS and without spoiling too much I am excited to see where things are going. Even though we are only essentially two books into the adventure (the first being a story of the young Doran) I feared things would quickly go stale and predictable for Doran and his team but luckily Davenport has already shaken that up with the addition of Nancy Dyer to the team. Nancy is a real woman (so far, ha! ), to interact with Doran and she seems pretty smart and more or less able to keep up. Davenports writing is improving. The prose felt tighter this time around although there are a few spots of clunky text which could have used with extra revision. For example there are places where Doran will internally expound on an idea only to repeat it aloud again or have a colleague say the same thing which could be done away with to keep things flowing. This quibble notwithstanding the pacing of the story is good and the action excellent. I confess I was less pleased with Shaun Toole’s voice work for most other characters in the book. I simply don’t hear French when he narrates Leo’s dialogue and at one point the text calls for a character to demonstrate “southern charm” and the result is not on point. Again, I think Toole’s voice for Doran is absolutely perfect. I only hope he can continue to work more on the accents for other characters in future installments. 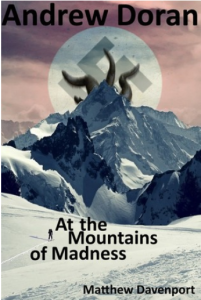 Overall I am very pleased that Davenport asked me to review ANDREW DORAN AT THE MOUNTAINS OF MADNESS: THE ADVENTURES OF ANDREW DORAN, VOLUME 3. I still feel like Andrew Doran is a fun mix of Spenser, Indiana Jones, and Dirk Pitt. With the addition of the Lovecraftian influence this series is a hoot. I only see this series getting better and better.